We achieve a high quality of life and balanced life philosophy with a functional, clean environment and low energy consumption. This is why uncompromising emissions control is absolutely essential. For our process-optimised solutions, we develop efficient, environmentally-friendly process engineering concepts that ensure the maximum availability and safety. 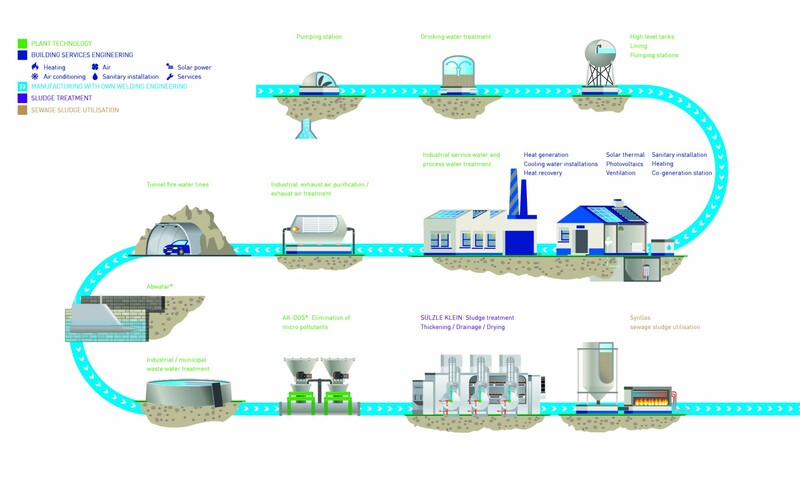 Together with technologies from SÜLZLE KLEIN, our solutions form a comprehensive link from pumping stations to sewage sludge utilisation: a complete offering.